There have been many miracles in medicine during the last few decades, but when an historian of the 2000's comes to write the medical chronicle of the 1900's, he may, I submit, find that at least one major cause of these miracles was the inauguration of close, effective cooperation between science and industry, with pharmaceutical firms serving as a link between academic scientist, clinical investigator and the practicing physician. This chapter explores the circulation of pharmaceutical knowledge-research and administrative-throughout a network composed of people and institutions from the drug industry, academia, and the government, and shows how critical these networks-and the knowledge moving throughout them-were to the success and growth of individual firms and the industry at large in the decade after World War II. These very same networks would later form the basis of the American drug industry's resistance to the pharmaceutical reform movement of the 1960s and 1970s. At the end of World War II, the American pharmaceutical industry consisted of two types of core companies. First, there were the manufacturers of fine chemicals, Merck and Pfizer the largest and most important among them. They bulk manufactured the chemical intermediates and the active pharmaceutical agents in drug production-the so-called fine chemicals-and sold them to the second type of core firm, the "old-line pharmaceutical companies." Included among this group were Abbott Laboratories, Parke-Davis Co., Smith, Kline French, Squibb, Upjohn, and Eli Lilly. These firms were integrated producers and wholesalers of pharmaceutical products, which purchased pharmaceutically active compounds from fine chemical manufacturers, packaged them as drugs, and sold them under their own trade names to physicians, pharmacists, and hospitals. Because of their emphasis on the marketing of drugs, the old-line pharmaceutical companies maintained small staffs of detail men who were responsible for selling the companies' drugs to pharmacists, physicians, and hospitals. In contrast, because they did not commercialize their own drug products, the fine chemical manufacturers tended to lack any significant marketing organization. In the immediate postwar years, however, more and more of the old-line pharmaceutical firms began integrating backward into the production of their own fine chemicals, undermining the sales base of fine chemical manufacturers like Pfizer and Merck. At the same time, Pfizer and Merck were producing an increasing number of innovative pharmaceutical compounds but these were not as profitable as they could have been because the firms lacked the capability to effectively market those drugs themselves. Instead, when they developed new drugs, Pfizer and Merck still sold the active ingredients to other pharmaceutical companies, which packaged and marketed them under their own trade names. As a result, in the early 1950s both companies began to integrate forward into making their own finished products. Pfizer did so by building up its own marketing organization, whereas Merck merged with Sharp Dohme, a pharmaceutical firm with a well-established sales and distribution system. At the end of World War II, American drug companies were also dealing with a relatively new regulatory environment. In 1938, Congress had passed the Federal Food, Drug, and Cosmetic Act following the death of 107 people who had taken the sulfa drug Elixir Sulfanilamide. The Massengill Company, which began marketing the new drug in September 1937, failed to test the toxicity of the solvent-diethylene glycol-in which the drug's active ingredient was dissolved. The solvent turned out to be highly toxic. Despite the 107 deaths, the FDA did not have the authority, based on the Pure Food and Drug Act of 1906, to prosecute Massengill for putting a harmful drug on the market. Instead, all the FDA could sue the company for was mislabeling their drug as an elixir-a term used to describe an alcohol solution, which the diethylene glycol solution was not. The failure of the 1906 Act to adequately protect the public's health led Congress to pass the Federal Food, Drug, and Cosmetic Act, which for the first time included a safety provision for drugs. The act mandated that drug manufacturers submit a new drug application, containing documented evidence of their drug's safety, to the FDA. If the agency raised no objection to the application, the drug was considered approved for marketing. The new regulations had organizational consequences for drug firms. Every new drug-including all its constituent chemicals-produced by the industry's research laboratories now had to be rigorously tested for toxicity. As a result, the medical departments of drug firms became increasingly important; the physicians who staffed and consulted with them were responsible for conducting and analyzing these safety tests. Thus, by the end of World War II, as the innovativeness of research-based drug companies grew, the medical departments of these companies-and their relationships to academic clinical investigators-became all the more critical. The ability of drug firms to adapt to the changing research, business, and regulatory environments of the 1940s depended in no small part on their ability to call on the advice and experience of researchers and administrators in academia and government. Academic researchers were in the best position to identify and recognize the importance of new research knowledge, while science administrators-especially those with government experience-were skilled at integrating research knowledge with organizational strategy. Merck Co. was particularly adept at forging relationships with academic researchers and government officials and using those relationships to help create organizational change at the company. By the end of World War II, Merck Co. was the largest producer of vitamins in the United States, and the second largest worldwide behind the Swiss firm Hoffman-La Roche. Indeed, since the early 1930s, Merck had been at the forefront of research in the identification and synthesis of vitamins, culminating in the company's commercialization of vitamins B1, B2, B6, C, and K by the early 1940s, and vitamin B12 in 1949. Merck was also one of the most innovative firms in the antibiotics and steroid fields, introducing streptomycin to the market in 1946, and cortisone in 1948. In the decade after the war, Merck Co. underwent significant organizational change as it expanded its research programs and developed new marketing capabilities. The company's ability to adapt to the changing business and regulatory environment, and to take advantage of the advances in pharmaceutical-related fields of research, was in large measure due to the knowledge networks it had developed with academic researchers and government officials in the previous decade. Merck's innovations were the result of the company's growing commitment to research during the 1930s and early 1940s. In 1933, Merck's president, George W. Merck, had established the company's research organization, recruiting to it academic researchers from some of the country's leading chemistry and pharmacology departments. To head the research laboratory, Merck hired the Princeton chemist Randolph T. Major. Major then recruited Karl Folkers from Yale University and Max Tishler from Harvard. Both men-who became research directors at Merck in the early 1940s-brought to Merck links to some of the best chemists in the nation. Folkers, for example, brought the networks he'd developed during his graduate studies in the chemistry department at the University of Wisconsin and his postdoctoral work at Yale University, while Tishler brought his own networks from Harvard. In addition to building its research networks, Merck Co. had, since the war, developed an administrative network composed of science administrators. These men (and they were all men) had served in government or military agencies and held appointments at elite universities, in addition to serving either as consultants to drug firms or as company executives. Because of their diplomatic and bureaucratic skills and through their work with government agencies, science administrators mediated among academia, industry, and government agencies. As they moved among these different institutions, science administrators brought with them research and regulatory knowledge and administrative practices and skills. The archetypal science administrator was Vannevar Bush. Bush, who served on Merck's board of directors from 1949 to 1962, received his Ph.D. in engineering from the Massachusetts Institute of Technology and Harvard University in 1916. He continued his academic career at MIT, serving as dean of engineering and vice-president of the university from 1932 to 1938. In 1939, Bush assumed the presidency of the Carnegie Institution of Washington, a position he held until 1955. During World War II, he chaired the National Defense Research Committee from 1940 to 1941 and went on to direct, from 1941 to 1947, the Office of Scientific Research and Development (OSRD), which coordinated and sponsored all military research during the war. After the war, the OSRD was dismantled and many of its responsibilities transferred to the newly created Research and Development Board of the Department of Defense, which Bush chaired for one year. In addition to his continuing government service, which included developing the nation's postwar science policy, creating the National Science Foundation, and presiding over the Carnegie Institution, Bush began a career in business, joining the board of American Telephone Telegraph Co. in 1947, and of Merck Co. in 1949. From 1957 to 1962, Bush served as chairman of Merck's board of directors. Indeed, what distinguished Merck Co. from the other leading pharmaceutical companies at the end of World War II-and which facilitated the creation of its administrative network-was the company's relationship to Vannevar Bush and the OSRD. In part, this sustained relationship grew out of the friendship that developed during the war among Bush, Merck's president, George W. Merck (who served as head of biological warfare in the War Department), and the Merck consultant Dr. Alfred Newton Richards. Like Bush, Richards-a pharmacologist and physiologist-crafted a successful career as a science administrator, moving back and forth among academia, government service, and industry. From 1939 to 1948, Richards was vice-president in charge of medical affairs at the University of Pennsylvania, and from 1947 to 1950 he served as president of the National Academy of Sciences. During the war, Bush appointed Richards to chair the OSRD's Committee on Medical Research (CMR), placing Richards in charge of all military biomedical research. In that position, Richards directed the CMR's projects including the development and mass production of penicillin, steroids, synthetic antimalarial drugs, and synthetic blood substitutes. Richards also served in various capacities within the Merck organization from 1931 through the early 1960s, including serving on the company's board of directors between 1948 and 1960. A.N. Richards's adept management of the CMR and Merck Co.'s involvement in the CMR's penicillin, steroid, and antimalarial projects left many researchers involved with the CMR and its projects with a very favorable opinion of the company. So much so that after the war, several individuals who had served in the OSRD found their way to Merck-as executives, directors, and consultants. John T. Connor, for example, who served as the OSRD's general counsel, joined Merck soon after the war. In his position at the OSRD, Connor had responsibility for working out contractual arrangements between the OSRD and its corporate and academic contractors, which included MIT, Harvard, the University of Chicago, Caltech, Westinghouse, and Standard Oil of New Jersey. In negotiating and executing these contracts, Connor became well acquainted with the scientists and business managers working at these institutions. During his tenure, Connor consulted regularly with Richards and worked on several occasions with George W. Merck. Through these interactions and his experience more generally in the OSRD, "it became clear to [Connor] ... that Merck had the outstanding research organization working on the [penicillin] problem ... and [he] came to have a great appreciation for the entire company." George W. Merck recruited Connor in 1947 as the company's general counsel and secretary. As general counsel, Connor was responsible for managing all of Merck's legal issues, which included setting up research contracts and protecting the company's intellectual property, skills he'd acquired during his tenure at the OSRD. As the company's secretary, Connor managed Merck's relationships with state governments and the federal government; a role that also benefited from Connor's experience-and the personal connections he'd made-serving in the wartime federal bureaucracy. Thus, Connor brought to Merck administrative knowledge, experience, and networks from his time serving in the OSRD. Connor was promoted to administrative vice-president in 1951, and served as the company's president and chief executive officer from 1955 to 1965. Returning to government service, Connor served as President Lyndon B. Johnson's secretary of commerce from 1965 to 1967. Merck Co.'s involvement in CMR projects, and the close friendship among Richards, Bush, and Merck, led to the establishment, after the war, of an administrative network in which former members of the OSRD moved between Merck, the government, and academia, bringing with them administrative experience and knowledge that, when incorporated into Merck's corporate policy of the early 1950s, proved critical to solving some of the company's most pressing organizational and research concerns. One such concern for Merck Co.'s leadership after the war was the state of its research organization. In particular, Merck's leadership feared the stagnation of the company's research pipeline. For help addressing this concern, Merck Co. turned to Vannevar Bush and A.N. Richards. In 1949, due in part to his long-standing friendship with Merck and Richards, Bush joined the board of directors of Merck Co. As Richards wrote to Bush in May 1949, Merck Co.'s board members "are in vital need as I see it of just such counsel as would flow spontaneously from your experience and wisdom." News of Bush's appointment apparently had "an electrifying effect" both within the company and in the broader industrial and research community. As George W. Merck wrote to Bush in November that year, "I have had ... several messages of congratulations from the outside, each time coupled with the query: How did you do it?" Although Merck believed the answer was "perhaps we deserve it," it is clear that the shared experiences of Bush, Richards, and Merck during the war were in large measure responsible. Immediately upon becoming a director, Bush, together with Richards, reviewed the company's research and development organization, identifying several major problems with the company's structure and operations. While Bush praised the company for being "refreshingly forward-looking and vigorous" in its research and development, he described "the internal organization of the company" as "atrocious." In particular, Bush found "the lines of authority blurred" and lacking in "clear individual responsibility for each primary phase of the company's functions." The solution, Bush believed, was for the company to reorganize along more hierarchical-and unmistakably military-lines. In particular, Bush felt the company needed a new chief executive. He outlined to Merck what constituted the "ideal chief executive," and how the company's internal organization should function under that executive. The main elements of Bush's advice were for the chief executive to "delegate effectively and clearly" and to "support decisions of subordinates." As he explained, "When one places in the hands of a subordinate the authority to make a decision ... that subordinate's judgment must be taken and used even if one thinks it is wrong and that a mistake has been made, and the decision should be reversed only when it is genuinely essential to do so in order to avert catastrophe." The "chief" should also "keep decisions down near the scene of action." In other words, "no decision should ever go above the level at which there is a competent man to settle it. Units should handle their internal affairs, and be responsible only for general results and progress. The chief should not sit in where a subordinate unit is doing business.... [C]ompetent men do not like to be watched in detail by their chief as they proceed, for it tends to undermine their own control of their own groups." Finally, Bush maintained, the "chief's office should be simple. It should contain no function that can be placed elsewhere." In his recommendations, Bush thus sought to institute a clear and authoritative chain of command within the Merck organization-an organizational form with which he had much experience from his tenure as director of the OSRD. Bush's advice was taken seriously; two years later, his suggestions were incorporated into a statement of "Merck Management Fundamentals" that served as a foreword to the company's new organization manual. Over the next two years, Bush continued to survey and make recommendations to Merck for improving the company's internal organization and, in concert with Richards, for advancing the company's research and development activities. Indeed, in March 1952, Richards noted to Bush that the two of them "have special responsibilities among the Directors to get inside the minds of those in the scientific areas of whom the future success [of the company] depends." Bush agreed with Richards, asserting that if the two of them could identify key trends in the medical field and identify new research areas the company's researchers should look to exploit, "I believe that its influence on Merck thinking could be far-reaching, in fact I think it could snap them out of a groove in which I fear they now are." As Bush continued, "If one knows where the breaks are likely to occur he makes effective contact with those who are at the forefront of the advance, aids them in any way possible, and watches for places where that aid can become independently applied." Yet as Bush saw it, their foresight alone would not be sufficient to improve the company's research potential. Bush felt that the company needed to improve its use of outside researchers: "We have a good many contacts with outstanding research people in the field I realize, but I am not sure that we have got the critical ones. A more important point, however, is that I am not at all sure that we are in position to make the contacts effective from the standpoint of our own use of them.... I do think that unless we have internally some people who have sufficient leisure and interest to think in a highly constructive manner our contacts will be decidedly sterile." What the company needed, Bush surmised, "are some free flowing views ahead, written by men who have vision and also grasp." Bush also believed that the company's organizational problems revolved around the fact that the company did not engage in long-range planning. As Bush saw it, "the nub of the difficulty appears to lie in the fact that the company has grown up." In previous years, the company's prosperity had depended "upon the occasional adding to its line of products of strikingly new and important items," made possible because of Merck's "early appreciation of changes in medical practice of great moment, a grasp of the significance of valuable products before their full advent and hence an early and advantageous commercial situation." While "it was possible to accomplish this sort of thing by hunch, by playing the matter by ear" when the company was small, this way of operating "no longer applies when the company's business has grown into extraordinary complexity, when there are alert competitors in the field attempting to do the very thing which made Merck grow, and when medical practice is becoming far more scientific and involved." The solution, Bush proposed, was twofold. First, the company's research and development area had to be reorganized so as to free "some of the individuals at the top" to "have adequate time to think, to consult with specialists in the field, to follow scientific trends, and generally to see where we are going in terms of where we are." Second, Merck needed a central planning group whose function would be to present "complete analyses of the status and probable future possibilities of important products and product lines which might be added to the existing line." Currently, Bush argued, "when a new product looms over the horizon we don't have before us a document that summarizes the nature and extent of the market, the prices that are tolerable, estimated costs of production, the new capital requirements for production facilities ... and the future outlook for improvements in processes and the like." To rectify this situation, the central planning group would "integrate the thinking," and "tie together the ideas of Research, Development, Production, Sales, Patents, Engineering ... with adequate contacts with the medical profession and the consumer to an extent sufficient to give a sound foundation to its prognoses." Once more, Bush's advice did not go unheeded. When Bush's former OSRD colleague, John T. Connor, was appointed as Merck's chief executive officer in 1955, one of the first things Connor did was to introduce long-term planning as part of Merck's corporate strategy. In his first three years as a Merck director, then, Bush played an instrumental role in reorganizing both the company's research and development organization and the company's corporate structure more broadly. In each case, Bush brought to Merck administrative knowledge and practices that he had acquired and developed during his years as a science administrator, first at MIT, then at the Carnegie Institution, and at the OSRD. The most significant of those practices were the hierarchical chain of command and strategic planning. Innovative Research Networks at Merck Co.
To support the company's internal research organization, Merck created and maintained extensive research networks by engaging in collaborative research projects with academic researchers and by recruiting them as company consultants. After World War II, cooperative research with academic researchers grew all the more important at Merck. As the company identified potential new drugs at an increasingly rapid rate, it lacked the in-house biomedical labor to perform all the necessary research itself. Therefore, Merck Co. supported medical research of two types: specific studies to evaluate or establish a new product and general studies in fields of commercial interest to the company. Merck benefited from these collaborative relationships by gaining access to and having the potential to commercialize a broader range of research than that being conducted in its own in-house laboratories. For their academic partners, drug company funding was one of the ways academic researchers could support their laboratories and laboratory workers (as I will detail in chapter 2). Furthermore, collaborating with Merck (or any other drug company) represented the only viable way for academic researchers to see their research translated into new therapeutic products and incorporated into medical practice. The expense of drug development and the prevailing attitudes among university administrators and government funding agencies that academic institutions were the site of so-called fundamental research and industrial laboratories the appropriate site for technological development made it infeasible and inappropriate for academic institutions to scale up production and mass-produce new drugs discovered in their laboratories. The practice of drug firms like Merck providing research grants and research fellowships to academic researchers-on both ad hoc and long-term bases-thus provided academic researchers with an opportunity to translate their knowledge into tangible therapeutic products, while serving to expand a firm's own research capacities. These relationships also provided academic researchers with access to limited material resources (not least, new drug products) and research facilities in addition to otherwise restricted industrial knowledge, all of which helped to advance their own research interests. The development and maintenance of Merck's research networks also depended on the company recruiting academic consultants to its ranks. These consultants were generally leaders in a specific field who, for an annual salary or some other form of compensation, kept Merck well informed about developments in academic institutions and maintained the company's connections with outside researchers. A key function of academic consultants-as they moved between Merck's research laboratories and their academic homes-was to facilitate the exchange of biomedical knowledge between academic and industrial laboratories. In addition, Merck called on its consultants to make recommendations on research strategies and the recruitment of new scientific staff. In 1950, for example, the Merck Institute for Therapeutic Research, a semiautonomous research institute of Merck Co., retained eight specialist consultants in the fields of nutrition, pharmacology, biochemistry, veterinary medicine, and pathology. The salaries for these consultants ranged from a one-hundred-dollar per diem for Dr. H.S. Martland, who consulted with the institute two or three times a year whenever the institute needed "expert opinion in important and conceivably controversial matters [such] as histological diagnosis," to Dr. William H. Sebrell, a specialist in nutritional research, who received five thousand dollars a year. Sebrell's salary reflected the fact that he visited the institute at regular monthly intervals and the institute's staff frequently consulted with him by telephone, letter, or personal visits to his laboratory in Washington. And in addition to advising the company on matters related specifically to nutritional research, Sebrell also offered guidance in problems outside of his area of expertise, such as "matters of basic research and personnel policies." Some of the institute's consultants functioned more like part-time employees. For example, Dr. E.P. Pick from Mount Sinai Hospital in New York City visited the institute's laboratories twice a week, spending an average of five hours at the institute during each visit. During this time, he worked in the institute's pharmacology laboratory "on problems suggested to him, but definitely of his own preference." Indeed, by early 1951 Pick had published eight scientific papers from the institute's laboratories since he joined the institute's roster of consultants in 1939. For Dr. E.G. Miller from the Department of Biochemistry of the College of Physicians and Surgeons at Columbia University, his role during his first few years as consultant to the Merck Institute was to act "practically as chairman of [the institute's] Biochemistry Department." When Miller joined the institute in 1946, the institute had only a young group of biochemists, who lacked the "experience and scientific stature" to run the department without more senior support. For Merck Co.'s corporate managers, academic consultants provided the company with invaluable help beyond their scientific expertise. As R.M. Hayward from Merck's Research and Development Division noted to the company's scientific director and vice-president, Randolph Major, in February 1951, "consultants are valuable for: a. Aiding in the procurement of new personnel; b. Maintaining a high morale of the staff; c. Obtaining a different viewpoint and for preventing the inbreeding of ideas; d. Learning the 'gossip' of the universities and of other industrial organizations." For example, the Merck Institute's consultant Dr. Pick provided the company with more benefits than just his research. As the institute's director, Hans Molitor, explained to Major, Pick's most important contribution was his "influence on the staff, particularly its younger members. He is the prototype of a kindly, wise and thoroughly understanding man and because of his own gratitude to, and high regard for, the Merck Institute, its policies and its management, acts as a morale builder and mediator whenever he senses discontent." And Pick's influence extended beyond the institute's staff. As Molitor noted, "Dr. Pick still maintains close relations with top-flight European scientists and thus can serve as a contact with them," on behalf of Merck Co. The academic researchers who consulted for Merck Co. after World War II served as critical nodes in the company's research networks. They provided Merck with connections to other academic researchers-in the United States and abroad-who might be available to collaborate with the company. They kept the company aware of "trends and needs of medicine, human and veterinary, in relation to Merck capacities ... [and o]pportunities with respect to new products and new or expanded uses of old products." These consultants also provided Merck with their critical perspectives on the company's current research programs. Furthermore, the high status of Merck's consultants and advisors within the academic medical community (Merck's roster of academic consultants and advisors included three Nobel laureates during the 1950s) conferred status and scientific credibility on the firm, making it easier for Merck to recruit other leading researchers. Merck Co.'s innovativeness after the war, then, was a product of a concerted effort in the previous decade by Merck's leadership to establish a thriving research organization and to forge extensive relationships with academic researchers-as consultants and collaborators. Reflecting its growing commitment to research, Merck Co.'s research and development expenditures increased substantially during the 1930s and early 1940s. In 1929, Merck Co. invested only $36,000 in research and development, by 1940, almost $1 million, and by the war's end, that figure had more than tripled to $3.4 million. Merck's success building and maintaining its research networks, and the importance of these networks to the company's postwar growth, is seen in the history of one of Merck's most important innovations-vitamin B12. In 1926, the Harvard researchers George Minot and William Murphy had found that feeding liver extract to pernicious anemia patients cured the previously fatal disease in the majority of them. Neither Minot nor Murphy nor any other researchers at the time, however, were able to identify the factor present in liver that was responsible for relieving patients of their symptoms. In the early 1940s, Merck Co.'s assistant director of research, Karl Folkers, became interested in using chromatographical methods to isolate and identify the antianemia factor. To aid him in this research, Folkers received a sample of fractionated liver from one of Merck's academic consultants, Dr. Henry Dakin, a British chemist. After further concentrating the liver extract on a chromatographic column, Folkers sent the fractions to a hematologist at Columbia's College of Physicians and Surgeons who had agreed to test the fractions in his patients. To isolate and identify the active substance in the liver fractions, Folkers collaborated with the University of Maryland researcher Mary Shorb. Shorb had developed a bacteriological assay that enabled Folkers to measure the anti-pernicious anemia activity of each fraction. Merck provided Shorb with a fund of about four hundred dollars to test the fractions over the course of several weeks. Thanks to this cooperative research effort, by 1948 Folkers's research group had successfully isolated the so-called anti-pernicious anemia factor, naming it vitamin B12. Although Merck was never able to develop a commercially viable synthesis of vitamin B12, based on Folkers's research the company did develop a process for isolating and mass-producing vitamin B12 from the fermentation broth of Streptomyces griseus. The company marketed this product as Cobaine. Subsequently, the company provided Dr. Bacon Chow of the Johns Hopkins School of Public Health with six thousand dollars over the course of the year to study vitamin B12 as a growth factor in normal and chronically ill children. The grant money was to pay for "the supervisory help needed to follow the normal children who are in a Catholic home, the need for providing a few special services to assure continued cooperation of the home, and ... a number of laboratory studies on the etiology of vitamin B12 ... to explain the mechanism of action of this material when given by mouth." Today, of course, such use of experimental drugs on children would be regarded as unethical. Over the subsequent five years, Hans Molitor, head of the Merck Institute, identified new vitamin research partners for Merck Co while visiting academic and industry laboratories in Italy, Switzerland, Germany, England, and France. In particular, Molitor pointed to Dr. J. Kuhnau from the Biochemisches Institut der Universität in Hamburg, Germany, who was doing "by far the most important work from our point of view," and Professor F. Verzar, a physiologist from the University of Bale in Switzerland. Verzar's laboratory was engaged in gerontological research, and Molitor suggested to Major that Merck might "buy into this growing establishment" by creating a fellowship in Verzar's laboratory for studying the influence of vitamin B12 on aging. During the 1940s and early 1950s, then, Merck Co. forged an innovative research network among Folkers's research group and researchers and clinical investigators at various academic institutions in the United States and Europe. People, knowledge, practices, and materials circulated throughout this network: research money in the form of grants and fellowships; biochemical, physiological, and pharmacological knowledge about the vitamins; research materials such as liver extracts, fermentation broth, and the vitamins themselves; and research practices-chromatographic methods and assays the most important among them. The importance of Merck's research networks, and the innovations they spawned, were reflected in the company's sales growth during the 1930s and 1940s. In 1933-the year the company's research laboratory was established-Merck's annual sales were $10.3 million. By 1939, the company's annual sales had doubled to $20 million. Just two years later, however, those sales had doubled again; by the end of World War II they had reached $55.6 million; and in 1950, following Merck's introduction of streptomycin, cortisone, and vitamin B12 to the market, the company's sales reached $139 million. Despite these achievements, at the end of the 1940s the company's managers were concerned that there were no new products on the horizon. At the same time, Merck Co. was losing ground in the antibiotics and cortisone markets because of the patent situation of their drugs and the company's inadequate marketing organization. In the case of streptomycin, Merck had relinquished its patent rights, assigning them instead to the Rutgers Research Foundation, thus allowing other firms to license that patent and commercialize streptomycin and market it under their own trade names. With cortisone, Merck was not the only company to hold a patent on the synthesis process. Because a number of different people and institutions-including the Swiss drug company Ciba-also held patents on different steps in the synthesis process, a patent pool was established among the various patent holders. As a result, Merck was not the only firm to commercialize cortisone. Confronted by what some in Merck's management saw as a stagnating research and development program (between 1948 and 1951, the company's annual R D expenditures had languished around the $4 million mark, finally increasing in 1952 to $5.6 million), and a downturn in the company's competitive position, Merck's leadership turned to its administrative knowledge network for support in resolving the company's declining market position. In the early 1950s, Merck Co. was still primarily a manufacturer of fine chemicals, selling its products to other firms that would then turn those chemicals into finished pharmaceutical products. In the instances when Merck sold finished drug products-as in the case of streptomycin, cortisone, and vitamin B12-the company struggled to secure a strong market position because it lacked an adequate marketing organization to distribute and sell those drugs. George W. Merck's solution was for the company to integrate forward into the manufacture and marketing of its own finished pharmaceutical products. To market its pharmaceuticals, however, Merck Co. needed a sales organization and distribution system. Rather than starting from scratch, in May 1953 the company merged with Sharp Dohme, a pharmaceutical firm with a well-established sales and distribution system. Until the late 1920s, Sharp Dohme had an extremely effective distribution network but very little in the way of a research organization. After the company merged with H.K. Mulford Co. in 1929, Sharp Dohme acquired a biological laboratory, which it used to research and develop new vaccines and antitoxins. Between 1935 and 1952, Sharp Dohme's executives worked on developing the company's research and development organization beyond biologicals, and pursued research on sulfonamides and new formulations of penicillin, and on the development of synthetic blood products. Despite the expansion of Sharp Dohme's research organization during the late 1930s and 1940s and the opening of its new research facilities in West Point, Pennsylvania, in 1952, the company lacked "an in-house level of scientific expertise" high enough to take full advantage of new developments in virology, medicinal chemistry, biochemistry, and pharmaceutical science more generally. For these reasons, the executives of both firms regarded the merger of Sharp Dohme and Merck Co. in May 1953 as mutually beneficial. While Merck acquired expanded marketing capacities, Sharp Dohme merged with one of the most innovative research organizations in the industry. Although both of the companies recognized the value of-and indeed, need for-the merger, the consolidation of the two companies took several years to complete and was characterized by tense relations between Sharp Dohme, located in West Point, Pennsylvania, and Merck Co., located in Rahway, New Jersey. The integration of the medical divisions of Sharp Dohme and Merck Co., and thus consolidation of all medical activities, proved to be particularly challenging. To overcome the challenges, Merck Co. drew on another of its administrative networks. This network was composed of science administrators-elite academic physicians experienced in medical administration-most notably, Dr. A.N. Richards and Merck's long-time consultants Dr. Dickinson W. Richards (no relation) of the College of Physicians and Surgeons of Columbia University, Chester S. Keefer, and William H. Sebrell. D.W. Richards was a leader in the field of cardiac and pulmonary physiology. During the 1940s and early 1950s, he and André F. Cournand developed a technique for catheterizing the heart and performed a series of cardiac studies for which they received the Nobel Prize in Physiology or Medicine in 1956. Alongside his academic career, D.W. Richards had administrative experience, serving as medical director of Bellevue Hospital, New York, from 1945 to 1961, chairman of the hospital's executive committee from 1951 to 1953, and deputy chairman of the CMR's physiology division during the war. D.W. Richards had also served during the 1930s and early 1940s as Merck's chief of medical affairs, and continued through the early 1970s as the company's "chief medical adviser." According to A.N. Richards, the "high status of Merck with [the] medical profession is in every important part due to D.W.R. 's [Dickinson Richards's] stature." Like A.N. and D.W. Richards, Chester S. Keefer and William H. Sebrell had high stature within the medical community and brought to Merck a range of government experience and contacts. Keefer, a professor of medicine at Boston University School of Medicine, had chaired the National Research Council's Committee on Chemotherapeutics and Other Agents and had served as a medical administrative officer of the CMR during World War II. In the former role, Keefer had been in charge of distributing penicillin during the war, earning him the title of "penicillin czar." After the war, Keefer served as special assistant to the nation's first secretary of health, education, and welfare. William H. Sebrell had served as a consultant to Merck Co. from the late 1940s until his appointment as assistant surgeon general in 1950 and later that year as director of the National Institutes of Health, a position he held until 1955. The difficulties consolidating Merck Co.'s and Sharp Dohme's medical activities, as A.N. Richards noted, was that the "conditions of merger were such as to produce lowering of morale throughout sci[entific] areas of Merck Rahway." In particular, because of its marketing experience, the Sharp Dohme medical division was given the responsibility of conducting all promotion and sales of Merck compounds, a task previously left to the Merck medical division. The result of this division of labor was to "exal[t] the name Sharp Dohme in the minds of the medical profession and pharmaceutical trade with corresponding lessening of prestige of Merck." According to Richards, the problem was made worse because "the scientific strength and present scientific leadership of Merck Rahway is much greater and of a different order than those of Sharp Dohme," which had led in some cases to Merck's researchers treating their West Point colleagues with condescension and little regard for their scientific abilities. To oversee and give advice on the consolidation process, Merck's scientific director, Randolph Major, established a Medical Coordinating Committee to which he appointed D.W. Richards as chair, along with A.N. Richards and the two medical directors of Sharp Dohme and Merck Co.-William Boger and Augustus Gibson, respectively. For D.W. Richards, this meant regular meetings with Boger and Gibson, and frequent visits to both the West Point and Rahway laboratories. After just a few such meetings, D.W. Richards identified the biggest obstacle to successfully integrating the West Point and Rahway medical divisions as being the matter of who would oversee the company's medical activities: would it be Boger or Gibson, or some third, outside candidate? The problem, as D.W. Richards noted to A.N. Richards in November 1954, was that neither Gibson nor Boger "has gained [status] in the eyes of the Company leaders, but rather that both have lost ground. If we were to bring forward the medical activities of the two companies this is not a good thing." is the difference in attitude or philosophy of the two Companies. The thoughts of Merck Co. have always been large thoughts; those of S D are by comparison small, the thoughts essentially of a pharmaceutical sales outfit: "quick profits," "get in with a product fast, clean up and get out again," and "no product lasts longer than three years." ... How endlessly these are repeated, regardless of what the rest of the argument is. . . . The result is that instead of S D enlarging the scope of Merck Co., Merck Co. is steadily shrinking to the scope of S D.
For example, D.W. Richards continued, "every time Merck-Medical brings a product to a certain stage, then transfers it to SD, the thing drops dead, scientifically, clinically, promotionally." As a result, "The Merck-Medical staff's morale is down again about to zero." So much so that "Gus Gibson has come pretty near to serving notice to Major. . . . The other good men in the Division are devoted to Gus and would not stay if he went." In July 1955, after two years of evaluating and attempting to resolve the problem of medical integration, D.W. Richards outlined to A.N. Richards, Randolph Major, and Max Tishler-the company's research director-his plan for the "Organization of an 'Ideal' Medical Division for Merck Co., Inc." According to D.W. Richards, the medical division should fulfill the following qualifications: First, "it must be a unified and harmonious group, working together as one team; each separate division well informed of the others' activities and in sympathy with them; the whole group having the same attitude and presenting to the outside medical profession a single point of view." According to Richards, "none of these things prevails at present." Second, Richards asserted, each division of the company needed its own medical department, as currently existed, with each separate medical department working closely with its own chemical and pharmacological research departments to bring forward new products. Third, the medical division should be, as it currently was, a well-integrated collaborative effort with outside clinical investigators. This, Richards believed, "was the key to all practical development of medicinal products." Fourth, the medical division should have an excellent relationship with the medical profession, including the practitioners, the clinical researchers, and organized medicine. And finally, Richards called for the medical department to work closely with the sales and promotion departments. To effect this change in the organization of the medical division, with each division-West Point, Merck-Chemical in Rahway, and the International Division in Rahway-having its own medical department, D.W. Richards demanded "a single head of all medical divisions." This overall director "would then be responsible to the presidents of all three divisions." In other words, the chief medical director would have a presence in the top level of the company's management. Associate medical directors, who would report to the chief medical director, would then be appointed to head the individual medical divisions of West Point, Rahway, and the International Division. A final factor that D.W. Richards considered critical to improving Merck's medical division and, more important, the company's market position was to ensure that the medical division was involved in the promotion and sales of Merck's products to a greater extent than was currently the case. Over recent years, Merck had lost some of its market position, especially in the steroids field. For D.W. Richards, the problem was not "solely that MERCK CO. hasn't had good enough new product; it is also that by skillful and vigorous promotional efforts, competitors like Upjohn and Pfizer have stepped in and taken away Merck's business." D.W. Richards was "convinced that a more likely medical participation in promotion would have helped the Merck cause." The solution, D.W. Richards proposed, was for the chief medical director to "have a controlling and veto power on medical accuracy and ethical acceptability of all promotion to the medical profession." The need for greater accuracy in medical promotion was a pressing concern for drug firms in the mid-1950s, as a small but growing number of prominent physicians had begun criticizing drug advertising as being excessive, misleading, and inaccurate. D.W. Richards's perspective on the relations between the promotion and sales and medical divisions, highlights the valuable contribution that he, as an outsider advisor, could make to the firm's policies. As an active academic researcher who was very well respected within the medical profession, Richards would have experienced firsthand-and in conversation with his medical colleagues-the detrimental impact that inaccurate and misleading advertising had on Merck's reputation among his medical colleagues. It is likely that, without Richards's perspective, the company's senior management would have had no good avenues for identifying the problems-or potential problems-brought about by the failure of the firm to integrate a medical perspective into its sales and promotional efforts. In 1955, Randolph Major also recruited Chester Keefer and William Sebrell to help with the company's efforts to consolidate the medical divisions of Sharp Dohme and Merck Co. Indeed, A.N. Richards hoped that D.W. Richards, Keefer, and Sebrell would function, in effect, as the company's "Medical Council," providing research and managerial advice to the Sharp Dohme, Merck, and International medical divisions. During their tenures, Sebrell and Keefer, together with D.W. Richards, consulted twice a year with Randolph Major, the company's scientific director and vice-president, on "the construction and evaluation of programs, and policy matters." They were also available to Max Tishler and L.E. Arnow, the heads of research and development at Merck Co. and Sharp Dohme, respectively, "for consultation on any subject." In addition, they met twice yearly with Tishler and Arnow in order to assess the operations of the research and development divisions. They also advised the heads of the three medical divisions-Gibson, Boger, and A.T. Knoppers (of the International medical division)-on their medical programs and personnel, and helped build status of the medical divisions within both the company and the medical profession. This involved the consultants meeting separately three times a year with the medical divisions at Rahway and at West Point, and once a year with all three medical divisions together. And in keeping with D.W. Richards's push to keep sales and promotion informed by medical opinion, the three corporate consultants were also to be available to review advertising and marketing material when requested. In late September 1955, D.W. Richard and A.N. Richards reformulated D.W. Richards's memo on his "ideal" medical division into a proposal to George W. Merck for reorganizing the company's medical division. In the end, Merck Co.'s management incorporated some but not all of the Richardses' recommendations. By 1956, Augustus Gibson had been promoted to the position of executive director for medical research. Yet rather than see the creation of divisional heads of the West Point, Rahway, and International medical divisions, the medical activities of the company were centralized, together with all of the company's research and development, into a single research organization: the Merck Sharp Dohme Research Laboratories (MSDRL). In 1957, Max Tishler replaced Randolph Major as president of MSDRL, and thus as Gibson's boss. Much to D.W. Richards's disappointment, Gibson was not given a position in corporate management. Instead, his only channel of communication to senior management was through Tishler. In 1959, D.W. Richards expressed his frustration to John Connor, Merck's president, noting "the remarkably high proportion of subjects" discussed by Merck's Management Council over the past few years "in which medicine (active, up-to-date medicine) was immediately relevant," and thus where the council could have benefited from the perspective of the medical director. That Merck relied so heavily on its medical consultants to develop and administer its medical department highlights two key themes. First, it reflects the critical new linkages forged between drug companies and academic medicine during and after World War II, and the mutually reinforcing nature of those linkages. Second, drug firms' reliance on medical consultants was a product of the regulatory changes that had taken place in the industry over the previous two decades. Prior to the passage of the 1938 Federal Food, Drug, and Cosmetics Act, drug companies had little regard for their medical departments, largely because the work they did-putting together promotional material and literature for the medical profession-was perceived by company managers and researchers to be of little value. Commensurate with this, corporate medical departments were staffed with just a few physicians, often physicians who were no longer practicing. With passage of the 1938 Act and the law's new drug safety provisions, however, rigorous clinical testing of drugs became an integral component of corporate drug development, a responsibility that fell to corporate medical departments. Yet even as firms like Merck came, after the war, to recognize the new and critical role of their medical departments, it did not follow that those departments and the physicians who staffed them were accorded respect. After all, it was not clear to Merck's management that its medical department possessed the requisite skills and stature to do this critical work. As a result, Merck looked to its medical consultants to fill that void and assume leadership of its medical department. Merck Co.'s merger with Sharp Dohme and hence its forward integration into pharmaceutical marketing and its building of reciprocal relationships with academic medicine proved to be boons for the company. Although Merck's annual sales stagnated around the $160 million mark in the first two years after the merger, by 1956 they had grown to $173 million, and just two years later they had climbed to $242 million. The company's increasing sales reflected its continuing commitment to research-Merck's research and development investment grew from $7 million in 1953 to $17 million in 1958-and the innovations this commitment spawned. In 1958, nine years after the introduction of its previous "wonder drug," Merck launched Diuril (chlorothiazide), the first drug available for the treatment of hypertension and one that came to transform medical understanding and treatment of high blood pressure. With its fully operational marketing organization, Merck launched a massive and highly effective marketing campaign for Diuril, with sales of the drug reaching $20 million by the end of 1958. Merck Co.'s innovativeness and growth in the postwar decade depended on the research and administrative networks it had developed with academic researchers and government officials in the prewar and postwar decades. Academic researchers who consulted and collaborated with Merck provided the company with access to new knowledge being produced in academic laboratories and helped Merck conduct the research necessary to discover, develop, and clinically test new drugs. The science administrators who worked with Merck were equally important, providing the company with critical administrative knowledge, practices, and expertise to help Merck develop its corporate strategy and undergo essential organizational change in the postwar decade. These same patterns predominated at other core pharmaceutical firms after World War II. Abbott, Upjohn, Eli Lilly, and Parke-Davis Co., for example, had developed extensive research networks with academic researchers in the interwar years, which they continued to nurture after the war. Like Merck, these other core firms underwent strategic and structural changes in the postwar decade, vertically integrating backward into basic research and forward into marketing. The result was commensurate growth in the American drug industry over the course of the 1940s and 1950s. Between 1947 and 1959, worldwide sales by the American drug industry increased 203 percent from $890 million to $2.7 billion. At the same time, the industry's investments in research expanded from $30 million in 1948 to $170 million in 1958. As a result of its postwar commitment to research and development, the 1940s and 1950s were decades of intense innovation by the American drug industry. Physicians, biomedical researchers, and historians alike consider the period beginning with the introduction of the sulfa drugs in 1935 through the production of penicillin during World War II, the discovery of cortisone in 1949, and the development in the 1950s and 1960s of the first effective antipsychotics and tranquilizers, oral contraceptives, and new vaccines against polio, measles, mumps, and rubella as a therapeutic revolution. It was also the period in which the United States-the principal site of the research, development, and marketing-replaced the German pharmaceutical industry as the leading pharmaceutical innovator in the world. Similar practices and patterns of growth defined the European pharmaceutical industry after World War II. As in the United States, the growth and innovativeness of the leading French and British pharmaceutical firms during the middle decades of the twentieth century depended on the ability of those firms to develop collaborative research networks with academic researchers. The relationships of drug companies to academic researchers grew all the more important during the 1950s, 1960s, and 1970s. 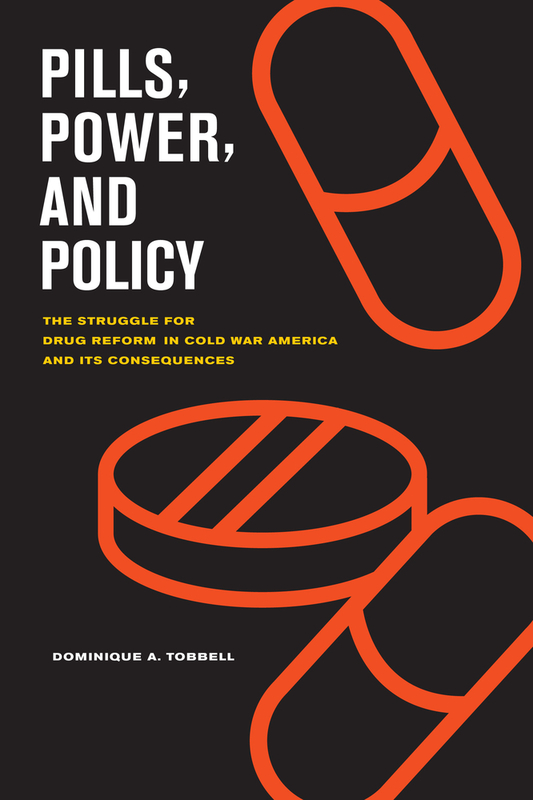 During these decades, drug firms, together with academic researchers and physicians, confronted a series of challenges-in biomedical labor, political pressure, and regulatory change-that threatened to undermine pharmaceutical development and practice. 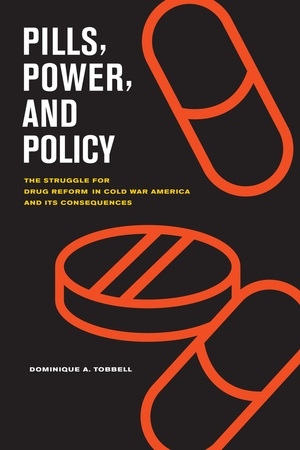 As the following chapters detail, drawing on its research networks with academic researchers and physicians, the American pharmaceutical industry built essential political support for itself in the three decades following World War II by offering to the medical and academic communities solutions to their shared problems. The first of these problems was a perceived crisis in the biomedical workforce in the two decades after World War II.